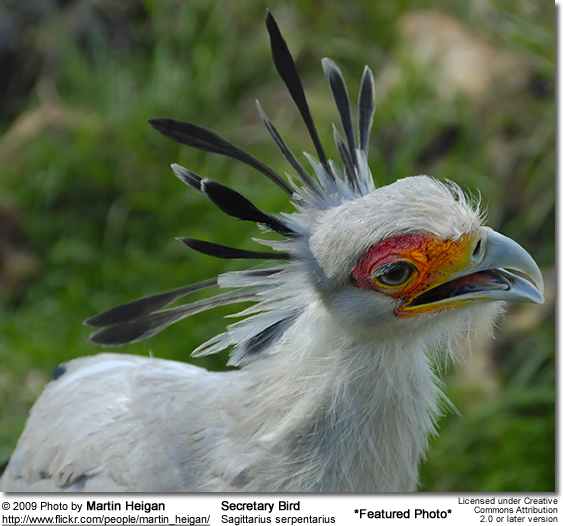 Secretary Birds (Sagittarius serpentarius) -- also known as "serpent eagles" - are highly skilled snake killers, which are part of their natural diet. They may use beak, wings and feet to kill a large snake; and they use their wings wings as shields to keep from being bitten. They can run so fast that they are sometimes referred to as "the devil's horse."